ISEBOX for Healthcare, Pharma, Life Sciences — ISEBOX - A smarter way to store, distribute, and measure PR content. Healthcare demands speed and precision. 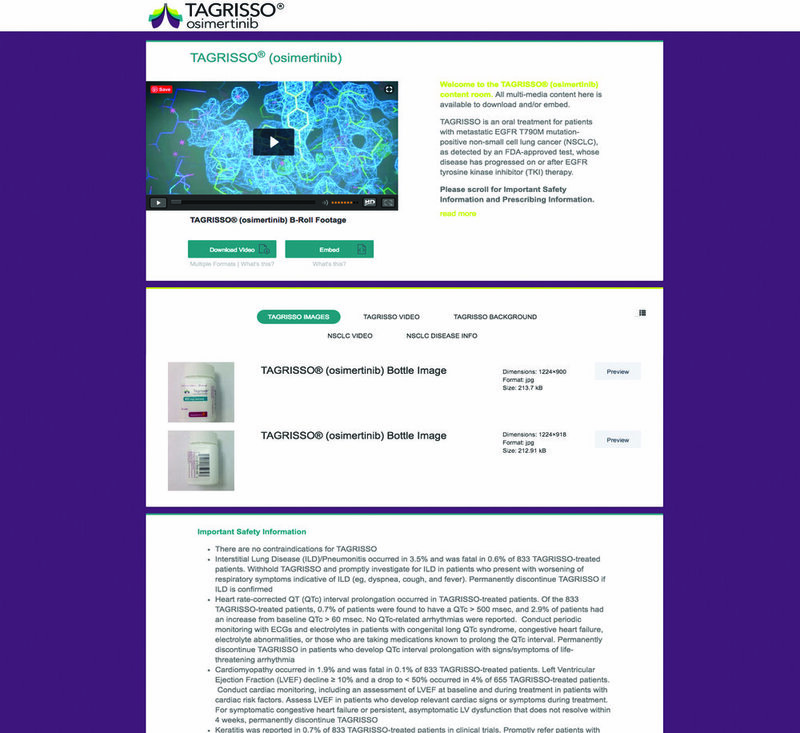 Tagrisso Product Launch Media Destination: URL distributed to media, whitelabel URL embedded in all documentation and materials. Immediate content control and download/embed tracking. Pharmaceutical and Life Sciences professionals are continually challenged with distributing multimedia content to the Media and Influencers. Navigating compliance protocol while creating engaging content is tough, but we get it - and so do the brands we've serviced including Gilead, P&G, AstraZeneca, Novartis and Bayer. We’ll handle your request with urgent care. Let’s talk about your healthcare, pharma, or life science project. Be it a launch, regional media center portal, event or congress, or other news, it will have content that needs to get distributed. Our platform is built to handle the demands and sensitivities of the healthcare and pharma world. ISEBOX will deliver a seamless user experience, quick internal review and approvals, and keep you well under budget.